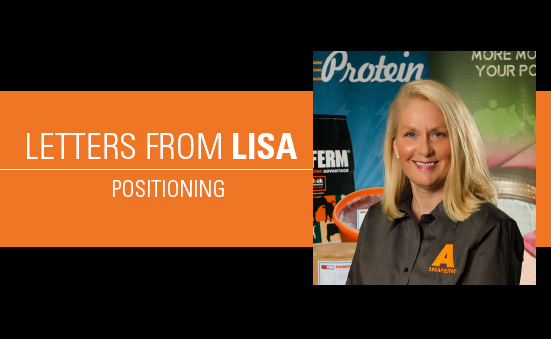 It makes sense to align marketing strategies with positioning products, and producer meetings are a great way to get your brand in front of customers and potential customers. Invite them to your store, showcase your products, provide them some valuable information that might add profitability to their outfit, and offer them refreshments. And, before you know it, you have just shared your brand with a group of people who need and want your services and products. In addition to promoting specific products, producer meetings are a great way to let producers learn more about you and your business. Time is a precious commodity. Make sure your producer meetings are time-sensitive to what your customers are dealing with. Prior to breeding season you might address pre-breeding and cow nutrition; weaning is a critical time in an animal’s life, so host an informational meeting prior to weaning to showcase products that will help reduce stress and promote gain. 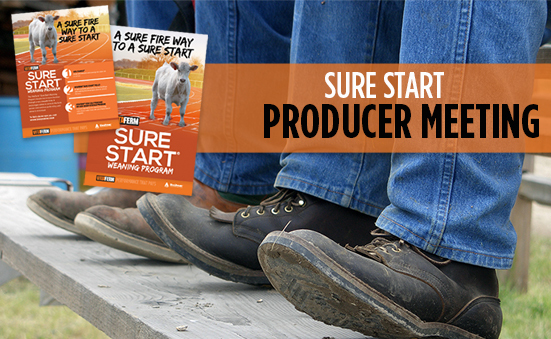 The Sure Start® Program is one program that you can promote at a producer meeting. It was designed as a simple program to keep calves healthy, eating and performing. The three step program is an easy sell, but you have to get the program out in front of people in order for them to notice, then ask about and finally utilize the program. Our statistics show that overall growth for dealers that held a producer meeting is 78.8%. By following these simple steps you can easily host a Sure Start Weaning Producer Meeting or a meeting with the topic of your choice. Our marketing team can help with invitations and posters to let your audience know about the meeting. Details about the event and who you would like to send the invite to must be received three weeks prior to your event. Call Jody Purvis, Sales Support Coordinator at 816-344-5755, and request a Sure Start Weaning Marketing Package. We’ll send you literature and signage for your store and meeting. So many people communicate via text message these days. Email a list of cell phone numbers to Katie Vaz, Marketing and Communications Manager at kvaz@biozymeinc.com, and we’ll send out a reminder to all your contacts the day before the meeting. Your ASM will give the presentation, but it is nice to have a few producers there that can give a testimonial about how well the program has worked for them. Follow up is important to any good marketing effort. Make sure you have all attendees fill out a contact card at the meeting. These cards should be given to your ASM ASAP. We’ll send out a follow up card and make sure these potential customers are included in any future national marketing campaigns. Don’t forget that a personal phone call can go a long way in securing the order. Your favorite country band is coming to town and you have tickets. After months of waiting, the night of the show is finally here and you get to hear all of your favorite songs. However, that morning the band decided they didn’t like playing the same songs every night so they played two hours of pop covers instead. You leave feeling dejected and can’t understand why they wouldn’t play the music that made them great. Though this would probably never happen with a band in real life, it does happen with brands quite often. Consistency is repetitive, and because we are the ones delivering that message day after day we sometimes feel like our message has become boring. What is actually the case is that consistency paves the way for creativity with an impact and is what moves your brand from a good one to a great one. Consistency helps manage perceptions. By thinking carefully and deliberately about your brand, you can shape how people perceive your organization. Consistency connotes professionalism, purpose and stability. Consistency conveys outlook and attitude. A focused effort to establish and maintain consistent branding will deliver a very specific set of impressions: Are you serious? Are you intentional? Do you follow through? Are you focused? Consistency eliminates issues surrounding brand confusion. For many companies, their branding is actually more of a hindrance than a help. A consistent brand should instill confidence rather than confusion. As you position your product before customers, be sure to brand yourself or your business. Keep the message consistent in your producer meetings, brochures, Facebook posts and media interviews. If you use a tag line on the bottom of a direct mail piece, make sure that same tag line is on your web site. If you have a logo, keep it consistent on your marketing pieces – don’t change the font or color. Remember, when you need help with marketing pieces, you can contact Katie Vaz at kvaz@biozymeinc.com. She can help you work toward consistency in your positioning by adding your logo or brand slogan to any of the current marketing pieces. Adding value is the process of changing or transforming a product from its original state to a more valuable state; from one set of characteristics to other characteristics that are more preferred in the marketplace. Technological advances that enable production of what consumers desire. Adding value to products can be accomplished in a number of ways, but generally falls into two categories: innovation and coordination. One or both of these must do more than add value. To be sustainable, they must also increase profitability. Innovation focuses on improving existing processes, procedures, products and services or creating new ones. Impact on profitability – sales revenue is a function of volume and price. 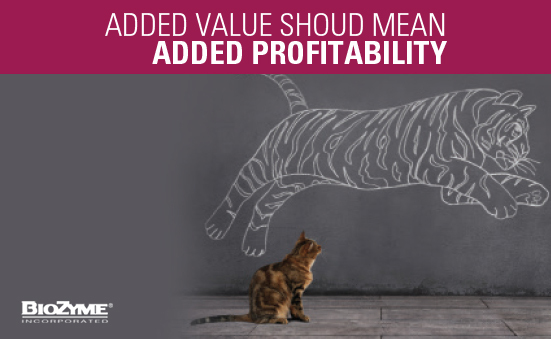 Value-added products allow more emphasis to be placed on the price part of the equation, initially, but ultimately they will also impact the volume, thereby increasing sales revenue. Your company’s strategy should be to find sources of revenue where you can have both high volumes and good prices. equation covered. In its first year, 26 tons of product was sold. However, the added value that this product provides has impacted the volume part of the revenue equation as well; sales grew to 455 tons in 2015, and to 1,202 tons as of June 30, 2016. This value-added product has accomplished the strategy of finding a source of revenue where we can have both high volumes and good pricing for maximized sales revenue. Coordination focuses on arrangements among those that produce and market products. Horizontal coordination involves pooling or consolidation among individuals or companies from the same level of the food chain. An example would be hog producers combining their market hogs to make a truckload. A coordinated effort is needed to impact cost reduction. Impact on profitability – before examining value-added processing and marketing, cost minimization must be achieved. Only efficient businesses will be able to survive and compete. Adding value cannot take the place of reaching the efficiencies attainable through technology and economies of scale. Our mega dealers are a good example of coordination. They buy large orders and then disseminate the product out in smaller amounts at a significantly lower cost and more efficiency than an LTL company. No matter innovation or coordination, in the end, value-added is a fairly simple concept. Create relationships with customers to encourage repeat business, improve tactics and your profits will go up. 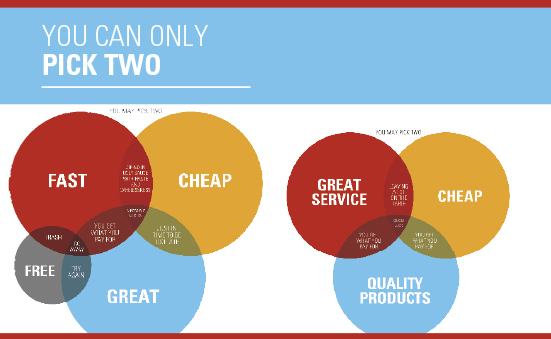 As a marketer and designer, I have always quietly laughed at this diagram that is often shared online by seemingly frustrated freelancers or business owners who are fed up with the expectation of their customers. A simple Google search of this “good, fast, cheap diagram” will show that not only does the marketing and design industry share these feelings, but that modifications of these little circles show up everywhere in nearly every profession from construction to investment banking to the food industry. While there may be much truth to these circles, I have learned over time that frustration diminishes quickly for both service provider and customer when you identify where you both fit within the diagram. If you occupy different circles, it simply means that maybe you don’t have to offer what your customer expects and what your customer expects is not possible based on what you can provide. But when you do exist in the same circles, the relationship can be pretty perfect. We have taken it upon ourselves to modify a diagram for you as dealers. BioZyme dealers most definitely represent the QUALITY PRODUCTS circle as you carry the best products in the business as indicated by the ingredients and proven record of their ability to create performance that pays. There are other circles you may represent as well. Now it is up to you to identify which level of expectation your customers have and what circle(s) they fit. It’s ok that some customers might not fit perfectly. They merely need to be educated on why “quality” is important or how the service you offer directly impacts the value they place on time or having a consultant at their door to help make important decisions for their operation. Sometimes it is ok to just know that they have no interest crossing over into overlapping portions of the circle, and you don’t have to waste each other’s time or resources marketing to that type of customer. The sooner you begin existing in the same circle(s) so that the product and service you are providing matches your customers’ expectation, the sooner you will create an environment of known expectation and synergistic goals in which everyone involved is satisfied with the end result. 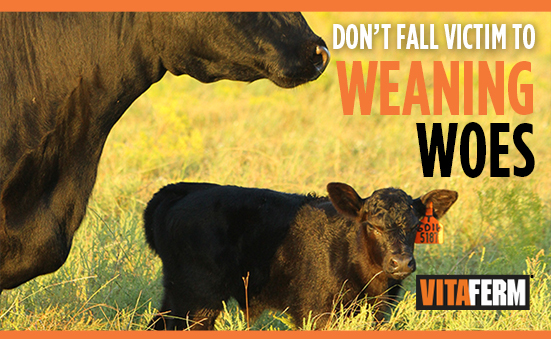 Many producers are currently in the midst of weaning madness. There is a plethora of information on weaning management techniques, vaccination protocols and feeding recommendations. Regardless of your operation’s weaning procedures, the most important considerations should be keeping calves healthy, on feed and gaining weight. 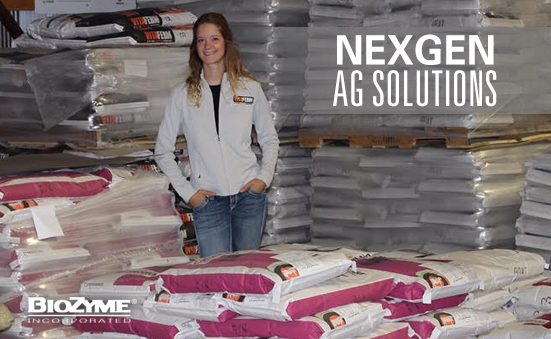 Ensuring a seamless transition from a milk-based diet to dry feed and hay starts with proper nutrition to maximize performance potential and prevent sickness. Weaning in a dry lot: Calves weaned in a dry lot must learn to eat from a bunk if they have not been exposed to them prior to weaning. It is important to consider bunk space (at least 12 inches per calf) and bunk height so that smaller calves can reach feed and water. Vita Charge® Stress Tub: A 50 or 200 lb. cooked molasses tub that contains Amaferm® and MOS to support digestive health and promote feed and water intake during times of stress and/or recovery from sickness. MOS traps bad bacteria limiting their ability to do harm to the animal. The Stress Tub conveniently allows beef cattle to get their daily dose of organic trace minerals, vitamins and B vitamins without additional handling. 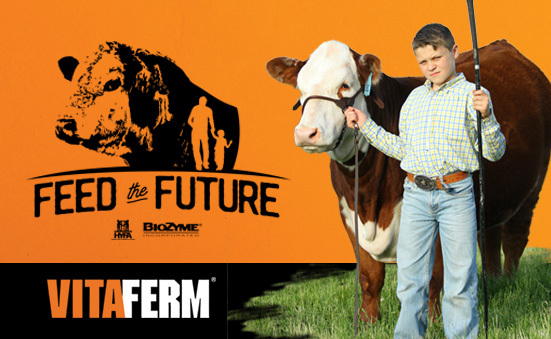 VitaFerm® Sure Start® Pellet: A highly palatable, pelleted vitamin and mineral supplement for beef cattle formulated with a high concentration of vitamins and minerals to alleviate the negative effects of stress. This product contains high levels of vitamin E, niacin and thiamine, as well as organic zinc, cooper and manganese, and a double dose of the Amaferm® advantage. It encourages calves to come to the bunk and provides a smooth transition during the most stressful time in a calf’s life. 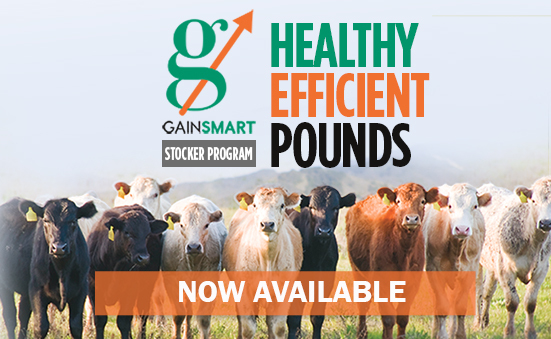 Gain Smart POWER 37: A pelleted, 37% natural protein, vitamin and mineral supplement that provides a cost-effective way to promote gain and general herd health. Contains a nutrient package specifically designed to balance high grain diets and supplemental protein, as well as organic copper and zinc plus added iodine for maximum bioavailability to the animal to support hoof health and immunity. Sure Champ®: A pelleted vitamin and mineral supplement that can be top-dressed or mixed in a ration to improve digestive health, stimulate appetite and optimize health. Typically used in show cattle, Sure Champ is a versatile product that contains 25% protein and elevated levels of highly bioavailable vitamins and minerals to achieve maximum performance potential. Sure Champ contains organic zinc, copper and manganese and the maximum allowable level of selenium. Added vitamins of A, D and E, niacin, and B-12 allow for added growth, bloom and overall health. Implementing any of these products will take your nutrition program to the next level and ensure continued weight gain and improved immune response of newly weaned calves. For more information, contact Lindsey Grimes, BioZyme Nutrition Coordinator, at (816) 596-8779. For about six months I worked on a project we called the “messaging matrix.” Its original intent was to ensure everyone in our company was sharing the same benefits and messages about all of our products and brands. This started as a simple Excel spreadsheet, but consumed about 400 hours of my time and had so many columns I felt like a data miner. By the end of it, the project ended up being one of my most difficult, stressful and eye opening. I had never read horizontally across all of our brands and products at the same time. I had always looked at them vertically or one at a time. Sounds silly I am sure, but after much thought I realized “what a mess!” We had products that fit nowhere, branding that was going across multiple sectors within beef cattle and branding that was going across multiple species (VitaFerm® was beef, sheep, goat and dairy). So let’s talk branding power. Interestingly enough the word came from our roots. More than a century ago, cattle ranchers used branding irons to mark which animals were theirs. 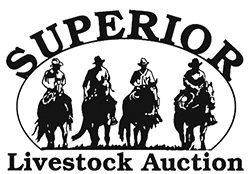 As the cattle moved across the plains on their way to Chicago slaughter houses, brands made it easier to identify which ranches they were from. With the introduction of packaged goods in the 19th century, producers put their mark on a widening array of products—cough drops, flour, sugar, beer — to indicate their source. For example, in the late 1880s as the Coca-Cola Company was getting started there were many soda producers in every market. Before Coca-Cola could get a customer to reach for a Coke, the company needed to be sure the customer could distinguish a Coke from all the other fizzy caramel-colored beverages out there. In the first sense of the word, then, a brand is simply the non-generic name for a product that tells us the source of the product. A Coke is a fizzy caramel-colored soda concocted by those folks in Atlanta. 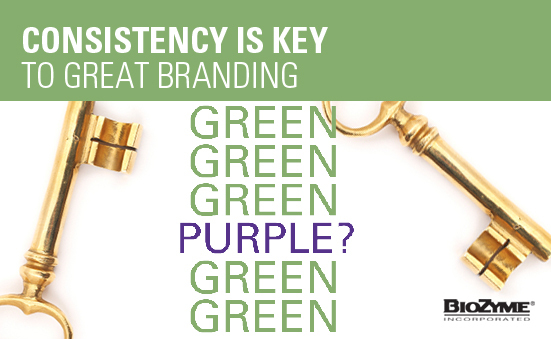 For more information on brands and brand consistency see this month’s Tell Everyone article on page 8. I will end this month with a challenge – something I wasn’t doing prior to this 400-hour venture. Are you differentiating marketing from branding? Let’s work together to create evangelists for our businesses.